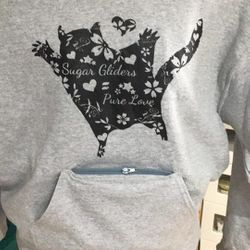 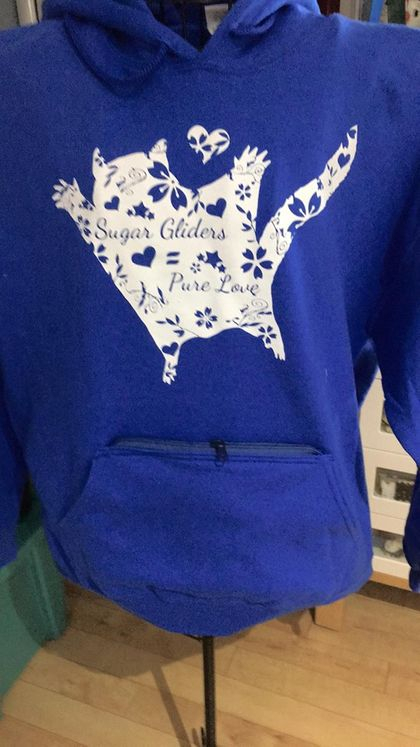 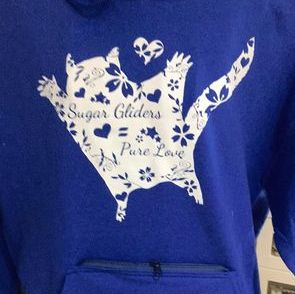 Pouch Pocket Hoodies are screen printed with beautiful custom artwork by Nicole Manning, saying "Sugar Gliders = Pure Love". 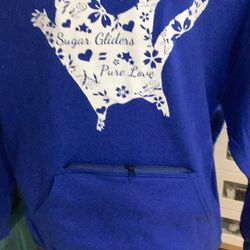 The Pouch Pocket is located *inside* the Hoody's front pocket which allows better ventilation for your gliders while keeping them warm and cozy. 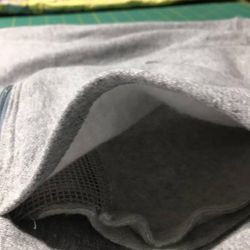 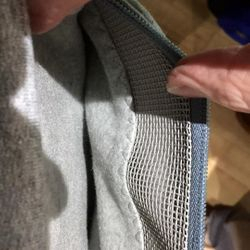 This also makes it easy to slip your hand inside the pocket and hold your gliders while they sleep inside their pouch with only one layer of fleece between you.